Madison Falls in located in the City of Kennesaw GA, Cobb County GA 30152. Homes built by Sargent Homes At Madison Falls Llc. between the years 2006+. 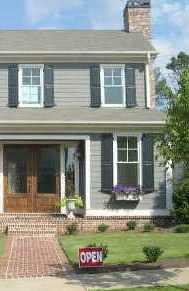 Madsion Falls is a 36 home community of homes built in the Crafsman and Tradtional style. Most homes have 4 full bathrooms and are priced between $340,000 to $440,000, at time or post. Home Owner Association fees, at time of post, are $200.00 a year and Madison Falls is not currently a swim and tennis community. There are only 2 cul-de-sac streets in this neighborhood: Callaway Crest Drive and Callaway ridge Drive. Directions: I75 EXIT LEFT ON BARRETT PKWY, RIGHT ON STILESBORO, RIGHT ON ACWORTH DUE WEST, LEFT INTO SUBDIVISION OR I-75 EX LEFT ON CHASTAIN, RIGHT ON HWY 41, LEFT ACWORTH DUE WEST, RIGHT INTO MADISON FALLS SUBDIVISION.